Well, Lughnasadh climax (7th August) is almost upon us and it’s Two Towers Day – the 216th day of the year. 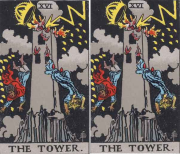 16 being the number of the Tarot Tower. 216 is a code that, together with its factors and multiples, is written in many Ancient and modern mystical concepts and teachings across the world, and encoded in landscape and architectural forms as well; not least, originally, because of its association with the Precessional age of 2160 years, and its relationship to the 2160 miles diameter of the moon. Numbers like 72, 108, 144, 666 (6x6x6), for example. It is occasionally written in the form of letters and abbreviations too e.g. Tao, Tax, B.P., FOX, L.A.X., and B.A.F.. (U.S., by the way, is 119). In 1964 the Gulf of Tonkin false flag took place. 38 days (11) prior to 11th September, which is 11 days prior to the Autumn (Fall) Equinox in 2001. This year the Equinox is on 23rd September. It’s the date that both the Queen Mother (1900) and Obama (1961) were hatched. The day in 2002 (22) that Holly and Jessica were taken from Soham. It was a 16-date. That same day, the Commonwealth Games closing rite took place in Manchester, and Whiting who was convicted for Sarah Payne’s abduction and murder, was knifed in prison. 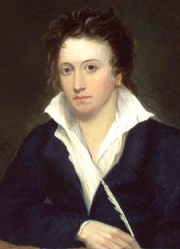 ..and the poetical genius, Percy Bysshe Shelley (who strongly resembles very much, facially, an exceptionally talented scribe I know, and suspect is a reincarnation of him, for more reasons than that) was born in 1792. When August comes around the dates adding to four (13th, 22nd, 31st) bring significant incidents to impact this world, either on that date or for the future, often both. I’ve talked of Sussex before, many times. It is, from my research and information, along with Buckinghamshire and the Devon/Somerset area, a main stronghold of dark occult activity in the UK. (and this piece even mentions Pulborough and Clapham Woods, two places that are associated with the disappearance and murder of Sarah Payne. It’s about more than the title but it’s the one National Geographic have given it. Still, it’s something I didn’t know. This entry was posted in Aware science, Ceremony, Crime, Demons, Fairies, Health, Howlin' at the moon, inspiration, Literature, Numerology, Numerosymbology, Occult, Protection, Psychic, Rituals, Sacrifice, Teachings, Writers and tagged 16, august 4, cats, geoff byrd, gulf of tonkin, music, occult, orgonite, Percy Shelley, poetry, satanism, tarot. Bookmark the permalink.